Brica has an ever expanding line of functional products to make travelling with your little one easier. If you are driving, flying or just strolling to the park Brica has something for you. For meals out of the house whether it be at a restaurant or dining at a friend’s Brica’s fold ‘n go travel booster will make life simpler. This is the most compact booster I have ever seen and the easiest to use. This booster folds so flat (1.5 inches at the thickest part) that I can zip it into an outside suitcase pocket I usually use for a magazine or travel documents. I was even able to find room for it in my already overstuffed average size diaper bag. Going somewhere without a bag? 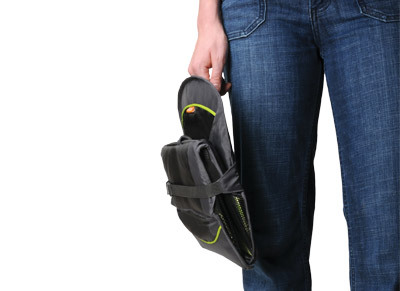 No problem the fold’n go travel booster has a convenient carry handle. To use the seat after removing the packaging I simply had to unbuckle one of the straps to release the fold, place it on a chair and secure it using the attached straps. The first set of straps goes around the backrest of any adult chair and the other set under the seat, clasp the buckles and pull to tighten and you are ready in seconds. Being this compact I wondered how sturdy it could be. 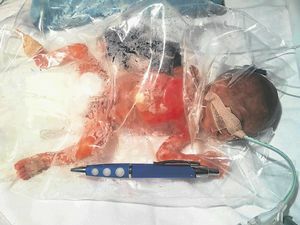 Once in place on the chair I could feel that it was as stable as any solid booster and it held not only my 22lb toddler but my older 40lb son with no sign of give, thanks to the ribbed and injection molded plastic panels. The entire design of this chair is brilliant. The fold’n go is extremely easy to keep clean with its stain-resistant wipe clean fabric and I like that it has no crevices or hiding places for food to get stuck. The charcoal and black swirls pattern accented with the lime green makes this booster fresh, fun and great for either gender. Suitable for children that can sit upright on their own the booster has an adjustable three-point harness that kept my little guy securely in his seat. 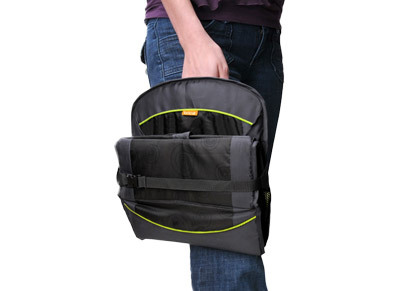 The Brica fold`n go travel booster stays in my diaper bag so I know anywhere we go I have clean seat for my son. 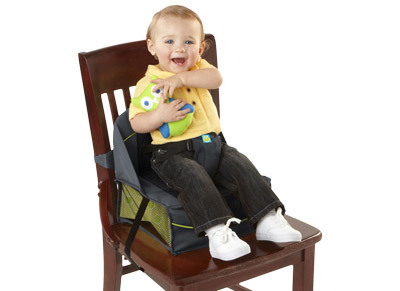 I think it is also a great option to leave at a grandparents or babysitter`s house that has little storage space as they could just tuck it into a drawer and bring it out when needed without cluttering their house with a full size highchair. At an affordable $24.99 I am considering leaving one in each of our vehicles or at each of the grandparent`s houses.